There are a few moments in life where I have been struck by human kindness. True thoughtfulness and generosity. Last week, this manner of kindness left a comment on my blog. A friend left a casual comment to my pregnancy announcement offering me fresh Italian truffles. How could I refuse such an offer? Before I knew it, she had dropped off an Italian care package for the carb-crazed pregnant lady (me). Out of the package I drew: fresh truffle, pine nuts, hand-pressed olive oil, green olives, fresh pecorino cheese and so much more. And just because she was thinking of me. Wow. 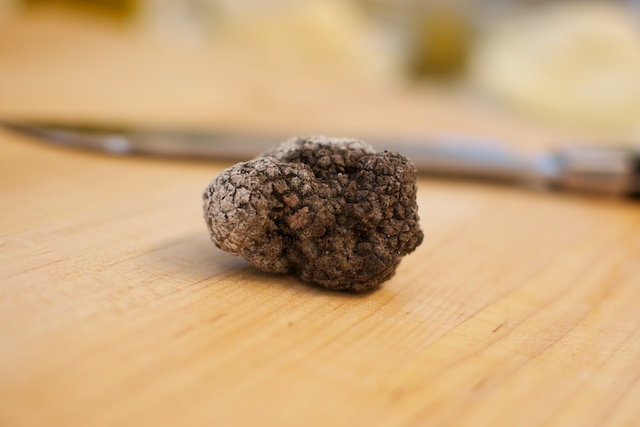 I made a mental note to do more nice things for people and started to day dream about cooking with Mr. Fresh Truffle. 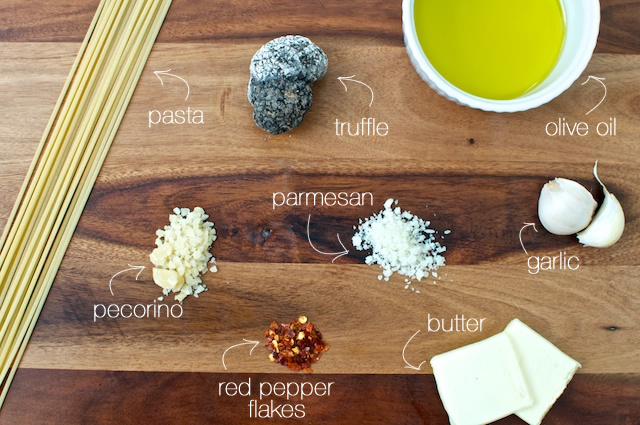 After a few Google searches and some very awkward YouTube videos, I learned that shaving the truffle directly onto the pasta was the best way to savor the flavor. Melt more butter than you think is necessary, and sauté garlic. Then shave that stinky little truffle directly into the sauce. 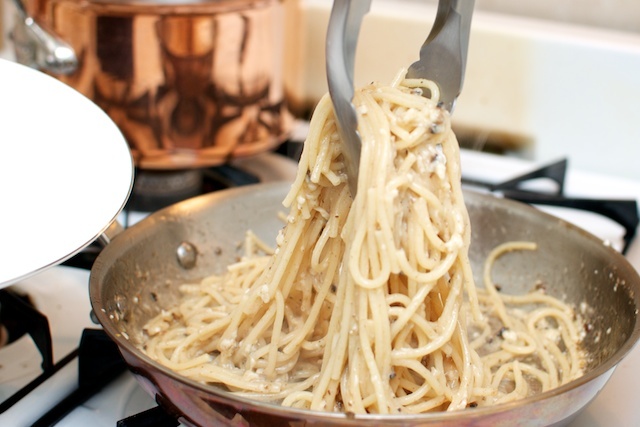 Cook pasta of your choice and then ladle it directly into the sauce pan with butter/truffle goodness. Add grated cheese and stir until every strand is coated in the creamy dream. Add a little of the starchy pasta cooking water to loosen the sauce. Top with more shaved truffle and chopped parsley. 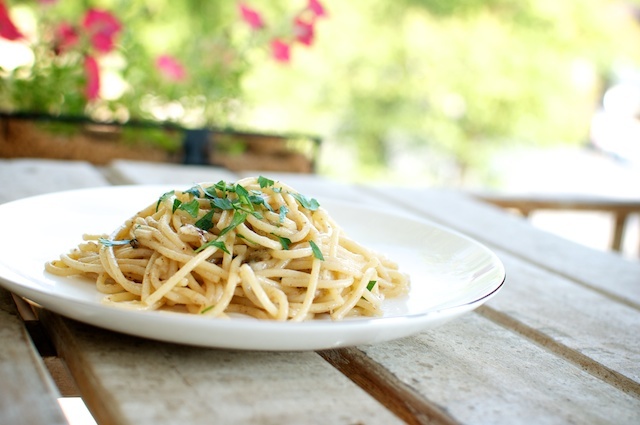 And while you're feeling indulgent, go ahead and enjoy this dish in the sunshine with good friends. Boil water in large stock pot with about 2 tablespoons salt. In a large sauce pan, melt butter over medium heat and add olive oil. 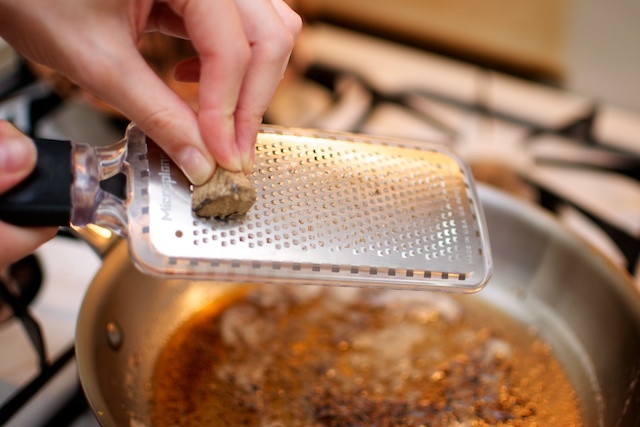 Sauté garlic until softened.Shave truffle into butter sauce with microplane or mandolin. Add red pepper flakes and stir to combine over low heat. Add pasta to boiling water. 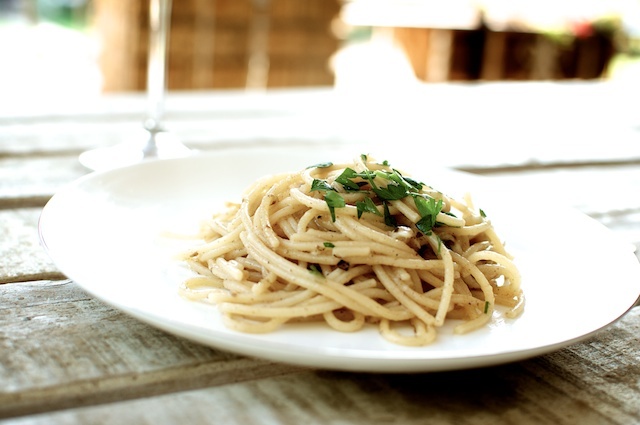 When the pasta is not quite at your desired consistency, scoop out a cup of the starchy boiling water and reserve. 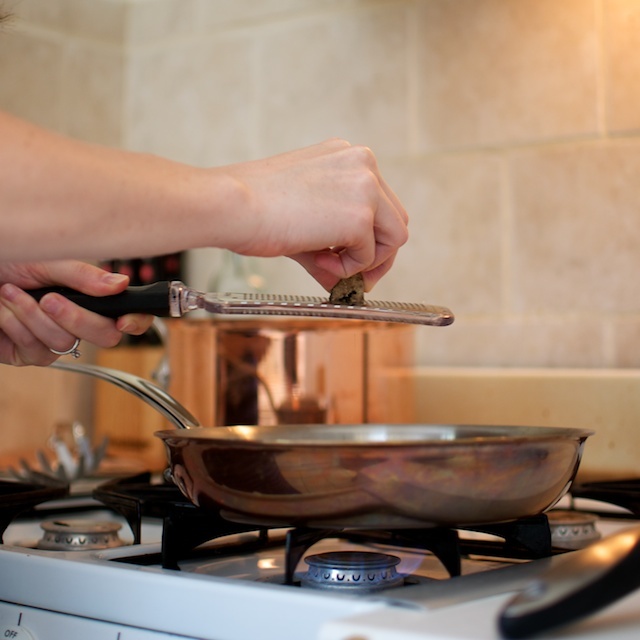 Then transfer pasta directly to the sauce pan with a slotted spoon. 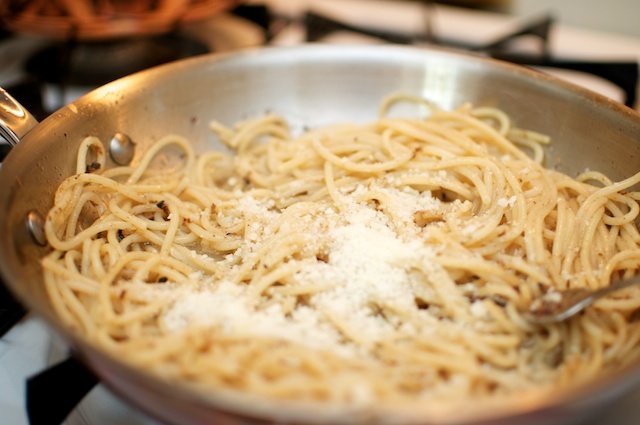 With the pasta and sauce over low heat, add grated cheeses, and stir until pasta is coated in sauce. Add a little bit of the starchy cooking water to add a creamy texture. Salt and pepper to taste. Serve on plates and shave more truffle on top for good measure. Feel free to add a little bit of fresh parsley for color.